Represent and lead the Canadian Pole Fitness community by defining and promoting standards for training, safety, equipment, terminology, and technical specifications to unite and empower Pole Fitness studio owners, professionals, and enthusiasts everywhere across Canada in celebrating the sport of Pole Fitness as a tasteful, and athletic art. 1. Be the recognized authority and trusted advisory board on Pole Fitness to Canadian studios, professionals, enthusiasts, media, and others nationally. 2. Be a facilitator for the development of all industry related standards, including terminology, training, certification requirements, progression of training, etc. 3. 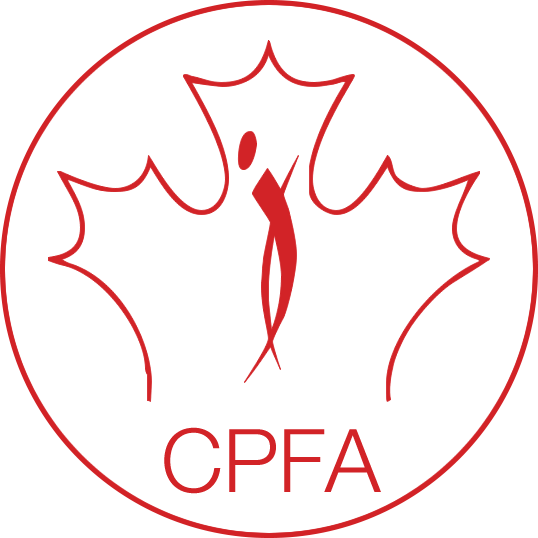 Indicate to the Canadian Pole Fitness community that a studio with our certified affiliation means you are qualified to deliver sound value to your customers in all areas of pole fitness, including safety, training, ethics, facilities/equipment specifications and business management. 4. Unite Canadian Pole Fitness studios, professionals, and enthusiasts worldwide to market, network, educate, train safely, and learn from one another to nurture the profession, create a unified community and promote our athletic art.